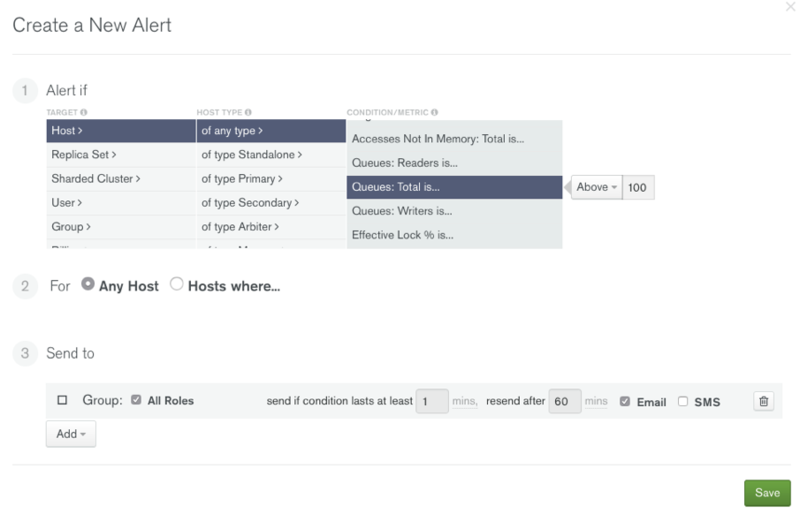 To help you manage your MongoDB deployment given some new changes, check out these five database alerts that you should have set up for MongoDB. What’s happening inside your database can have a huge impact on your application and your customers’ happiness. In this post, we’ll talk through some of the things you need to look out for to keep your MongoDB deployment on track. There’s a ton of new stuff in MongoDB that will change how you monitor, including a new storage engine, and MongoDB Atlas, our database as a service offering. “Tickets Available” reveals the number of tickets available to the storage engine, which represents the number of concurrent read or write operations that can occur. When all tickets are claimed, those operations must wait, meaning it enters the queue, which is where the “Queues” metric comes in. 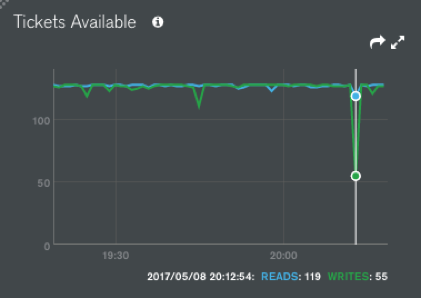 These related metrics will help you detect queries that took a little longer than expected due to load. 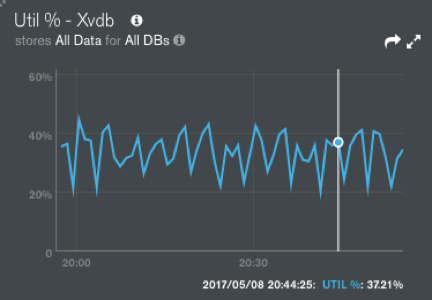 Increasing your instance size (or sometimes disk speed) will help these metrics. 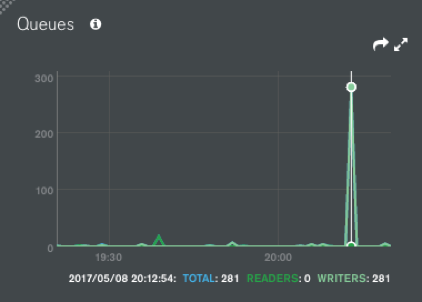 A good value for alerts based on these metrics might be Tickets Available under 30 for a few minutes, or Queues over 100 for a minute. You want to avoid false positives triggered by relatively harmless short-term spikes, but catch issues when these metrics stay elevated for a while, so “send if condition persists” helps a lot here. Similarly, it may be useful to know when your app has stopped writing to your database, so you might want to have an alert for disk util under approximately 10% that would fire after 5 minutes of continued low disk utilization. This would be great for production clusters, but probably too noisy for ones in development. Additionally, if your app has very bursty usage – e.g., no one uses it at night — you might get some false positives with this alert. As with all of these alerts, experiment with values to find what’s right for your application, and don’t forget to periodically reevaluate them to make sure you’re getting the best information. 3. Who Stole My CPU? If I had to come up with another title for this section, it’d be "Indexes, [unprintable], do you speak it?!" If your database has its indexes configured correctly, you may almost never need to fetch entire documents from disk, serving queries at lightning speed from the index in the filesystem cache. Remember, however, that indexes are not purely good – too many indexes may slow down your writes due to write-multiplication. I’d suggest setting an alert to somewhere between 80% and 90% of your limit; this way, you can get ahead of your scaling needs, or avoid an app problem where connections get gobbled up for no reason. Published at DZone with permission of Peter Gravelle , DZone MVB. See the original article here.